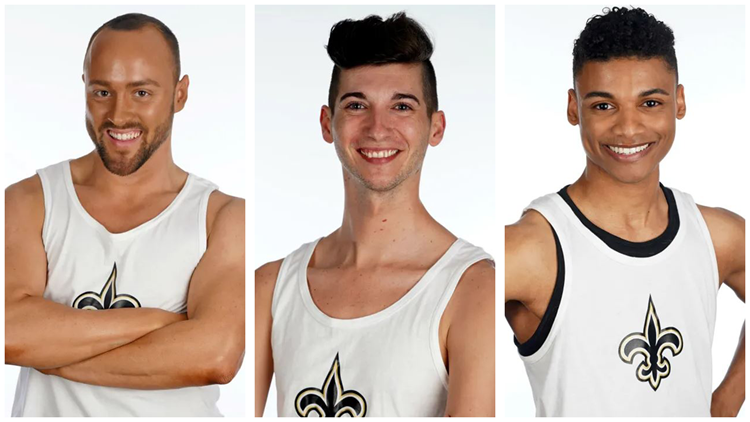 Three of the 32 dancers in the newly announced 2019 Saintsations lineup are male. NEW ORLEANS — The New Orleans Saints have announced the lineup for their dance team -- the Saintsations -- a roster that includes 29 women and three men. The Saints are one of two teams in the NFL who have male dancers on their cheerleading team. Jesse Hernandez from Maurice, La., is returning for his second season. Hernandez made headlines last year as the first male cheerleader in the Saintsations history. "It's setting a new path, it's changing the world and that's exactly what I want to do and hopefully I can open that venue and open that path for other male dancers," Hernandez said last year. The other two male dancers are Dante Sanders from Vicksburg, Miss., and Dylon Hoffpauir from Erath, La.